Lockwood stood shivering, silently regarding the depressing, frosty rows of shriveled cabbages. He pointed at Lockwood’s lovely white cravat in an accusatory sort of way, as though the whole thing were his fault. Lockwood did not fail to appreciate the irony. “Well, you know, weather curses are usually much more general,” said Ashford cautiously. Lockwood was content to observe their argument. For his part, he could feel his icy sorcery everywhere around him; it saturated the earth, and the air, and also his coat. He could only surmise that the unnatural chill affected him so much because he was more closely connected to the spell than anyone else, but it was all conjecture, really. He knew astonishingly little about the curse and somehow he had not yet felt motivated to read the parchments Lord Darigan had sent. He had, however, a vague idea that he had replied to Darigan’s letter, which was a rather comforting notion. Perceiving that Ashford was preparing to leave, Lockwood joined him. “Not in the least,” answered Lockwood colorlessly. “Ah,” said Lockwood, somewhat relieved that he had not forgotten after all. “I cannot imagine why you should ask,” Lockwood replied with a sudden tinge of cold annoyance; it proved quite enough to deter Ashford, and they walked the rest of the way home in silence. When Lockwood entered his room, he was vastly astonished to find Lord Darigan seated by the fire waiting for him. He had, however, the presence of mind to close the door behind him and sit down. “If you like,” Lockwood replied helpfully, and went to sleep. Lockwood thought that he awoke to a sort of grayish purple haze; but before he could really turn his powers of observation to it, the cloudiness was gone. Fortunately, the unpleasant feeling of having been knocked out and then revived seemed inclined to persist. “So it would seem,” the shadow Gelert replied dryly, pulling himself upright and sorrowfully regarding his very rumpled suit. Darigan poured him a cup of coffee. As he drank it, Lockwood began to regain a full sense of the situation; gratitude was one of the first inevitable emotions to sink in. Lockwood had a faint idea that he had heard this somewhere before, but he could not for the life of him think where. “Why was it harder to find this town than the place where Lisha and I were stranded in the woods?” Lockwood still felt slightly hazy, but he was determined to make use of his time with Darigan by seizing every available scrap of magical information. Lockwood considered this with some interest, but even gifted with his own rather relativistic scruples he was forced to conclude that he had gotten himself in quite enough magical trouble for the moment. “Perhaps, but...” Darigan began with a frown. “Why would you think that?” asked Darigan, arching an eyebrow. Lockwood shrugged, turning his cup around in his gloved hand; he had no real inclination to say that it was precisely what he would have done to his enemy – and the spell had an unsettling similarity to the more malicious aspects of his character. It was clear that the spell wanted him here – it had, after all, gone to great lengths to stop him from contacting Darigan. 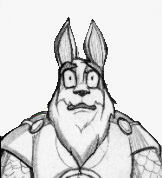 He knew the inner workings of his magic far too well for comfort; and, if he had been at all tempted to examine his true motives, his thoughts would very likely have come to rest upon a pretty green Cybunny and her small Ogrin brother. “I will be vastly delighted to see you,” answered Lockwood, and began readying himself to go out. He hurried, because a sudden fear had overtaken him: an uncharacteristic fear, in that it had nothing at all to do with himself. It had rather to do with a small white gift he had given to a small green Ogrin. I must admit I've never written a story. Never. It must be said that until now my many chivalrous and substantial actions prevented me from doing so.